The valley of Anterselva is South Tyrol’s biathlon Mecca. It has been hosting numerous world cups and world championships since the 1970ies and attracted masses of winter sport enthusiasts. 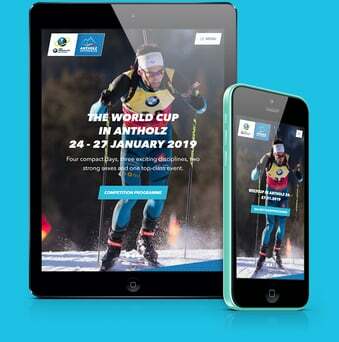 Our task was to tighten the former website’s structure, to edit the content and to visually fortify and unify the brand “Biathlon Anterselva”.